Helllllloooooo beady friends! 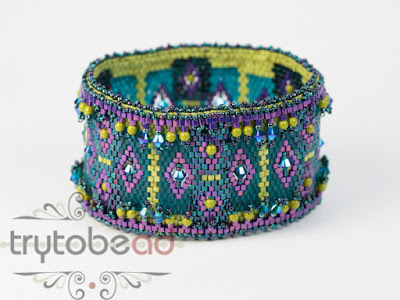 I have the prompt all set for this month, but don't have a piece that I actually beaded up yet, so I will be beading right along with you. :) I did have an idea, but it didn't work out for me and so I'm changing gears a bit. 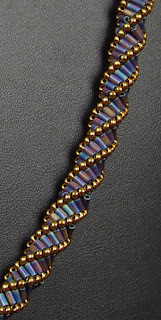 Freeform beadwork is also a wonderful way to combine stitches, you can use ANY of them together and just have a blast. 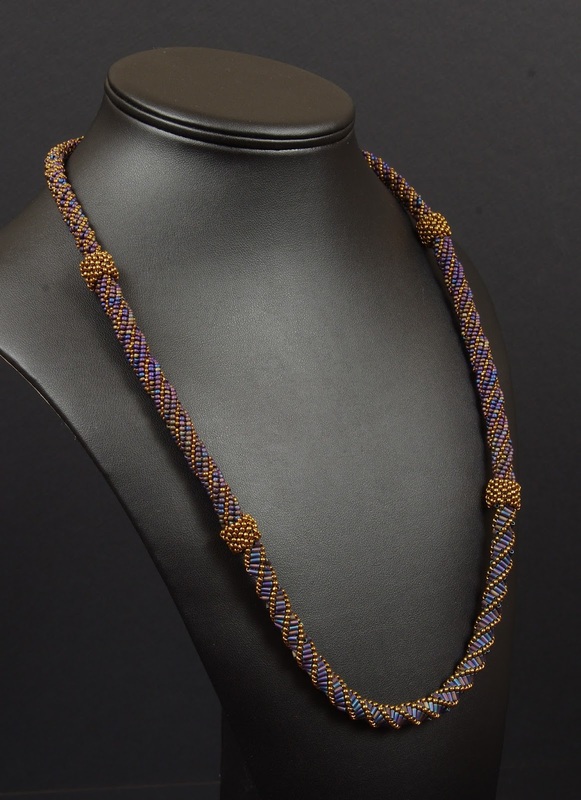 One of my favorites is to combine peyote and right angle weave - you can go back and forth without a trouble in the world. But I have run across freeform in herringbone and even St. Petersburg stitches before as well - if nothing else, you can put the St. Pete's on top of the other stitches for a fern like effect. 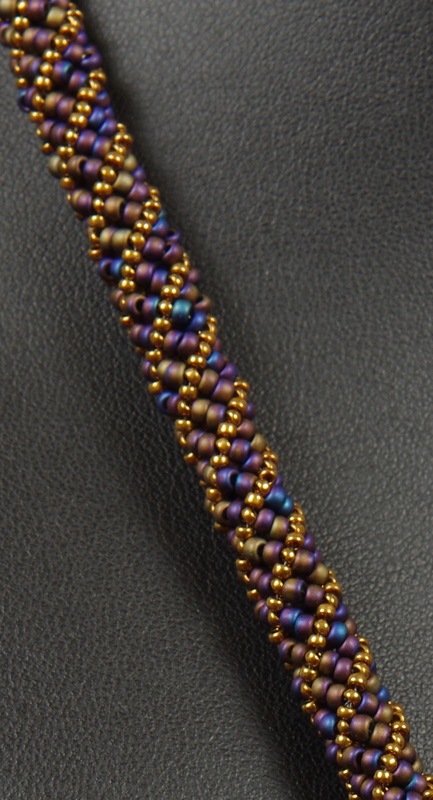 Right angle weave on top of bead embroidery is one I like, too - I did that in my Reflections necklace. It really doesn't have to be complicated when combining stitches - one easy way would be to make a rope of one stitch and then beaded beads using another. My Meld necklace is a combination of so many stitches I don't think I could remember them all! 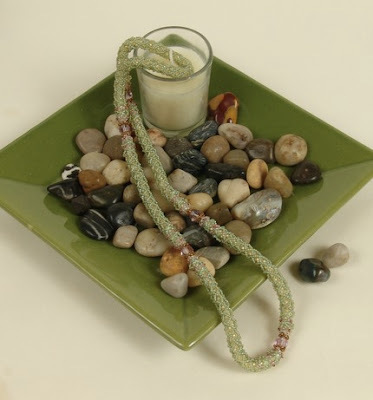 The rope is a version of Trellis, and the beaded beads are by various different designers including Cynthia, Callie Mitchell and Heather. My original idea was to combine herringbone and hubble stitch - I wanted to do a herringbone base rope and do hubble on top, but I couldn't figure out my connections to make it happen smoothly - if you decide to try this, please do show the results!! If you aren't familiar with hubble stitch yet, please let me point you to Melanie de Miguel's Let's Hubble and Hubble Stitch II books. FUUUUUUUN!!! So, grab two stitches you adore and smack them together and see what happens!! If you're part of my Facebook group, I will be posting a coupon code for half off of either my Trellis or Triple Twist if either of them intrigue you. 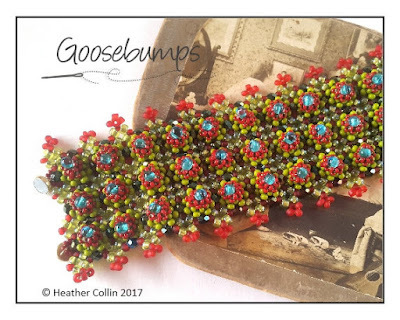 :) I would love it if you would come and post your combinations in the group if you're on Facebook, it's always fun to see what others come up with. I will definitely post my results both in the group and here on the blog when I come up with March's prompt. Happy beading!